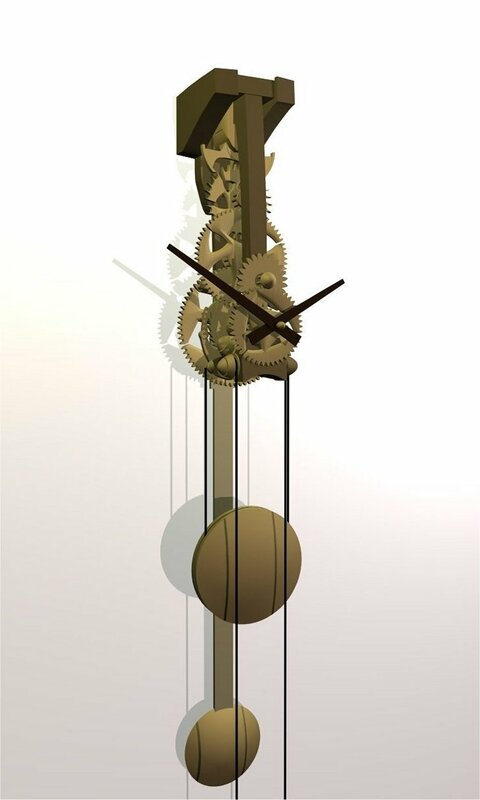 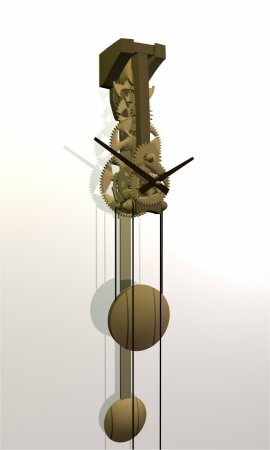 Clock 10.01, made in 2007. 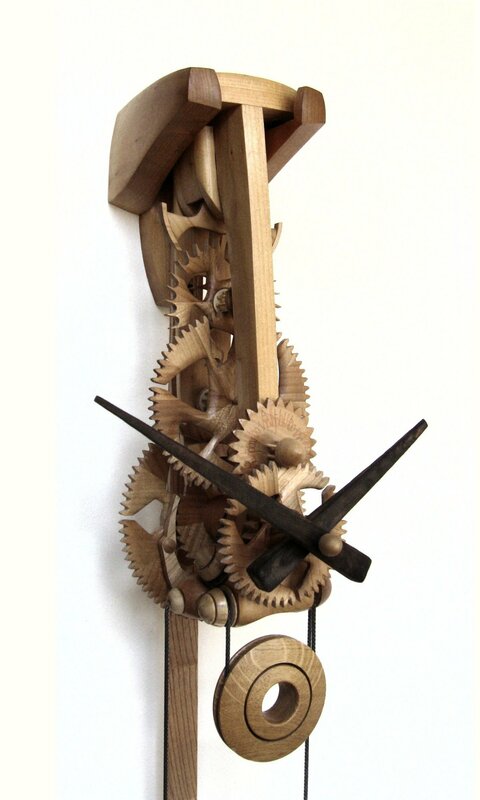 Pine frame, with Cherry wheels and Ash Pulleys; the hands are scorched Ash. 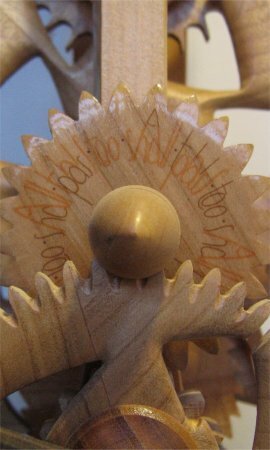 Small turned parts are Boxwood, the weights and pendulum bob are Oak with lead cores.